Fried Food Tastes Amazing When You Follow These Tips! Frying is intimidating enough, what with the hot oil and how careful you have to be to avoid being burned or just getting it all over your clothes. Deep frying is especially scary, which is why we recommend starting with something a little simpler and more basic. In this case, that's shallow frying, and it's not quite as tricky partly because it uses a lot less oil. 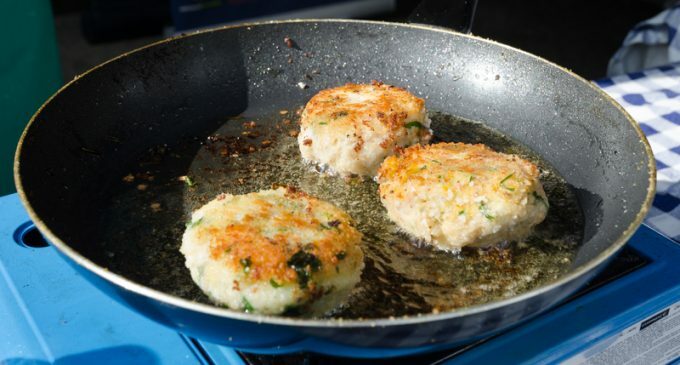 This makes it much easier to manage, and is the ideal way to get an introduction to frying. Like anything, there are some tips and tricks that make the process easier and more effective. If you've never fried before, we definitely recommend brushing up a bit on these basics before you start. In fact, while these suggestions are really easy to implement, they also make a world of difference. You'll feel a lot more comfortable frying, and the food will cook better and taste even more delicious! For our top tips for shallow frying, please continue to Page (2) for the full list.